Everything is a question of style, no more so than in the world of haute horlogerie. If engineering ingenuity remains the quickest way into a watch aficionado’s heart, nothing can replace that feeling of setting eyes on a mechanical masterpiece for the very first time, that sensation of horological love at first sight. Connoisseurs have already been wooed by the technical innovation of URWERK’s 110 collection, presented until now in either monochromatic natural titanium or anthracite. Now the UR-110 affirms its presence and expresses itself as never before thanks to the UR-110 TTH – with a super strong Tantalum hull – and the UR-110 ST – with a distinctively grooved AlTiN bezel. Whether you prefer it strong and rugged or smooth and refined, there is a UR-110 style for you. 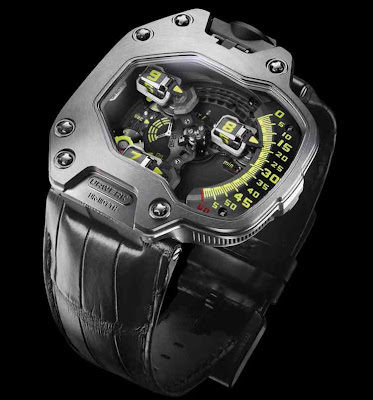 More robust than its stablemates, the UR-110 TTH is an imposing timepiece that commands respect from the very first glance. Why? Well, just as a vessel derives its strength from an unbreakable hull, the UR-110 derives its strength from its bezel crafted in tantalum, a particularly hard and dense metal, well known for resistance to corrosion and for its bio-inertness. Indeed, the TTH stands for “Tantalum Hull”. Naturally, the sapphire crystal of the UR-110 TTH has also been upgraded. 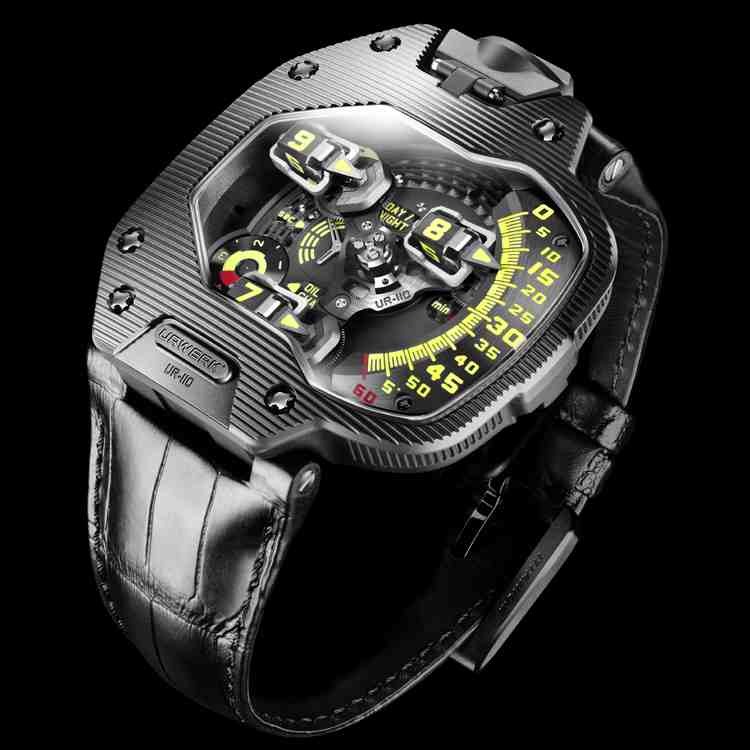 The UR-110 ST sees URWERK continuing to embrace three-dimensionality in horological architecture. It is a model that well and truly appeals to the tactile senses, for it can even reveal itself when your eyes are closed. Run the tips of your fingers over its dial, and you will feel the perfect smoothness of the sapphire crystal soon replaced by grooves in the AlTiN bezel. Such a sensorial experience is just what URWERK co-founder and artist-designer Martin Frei wanted to create for the UR-110 ST’s owner.